Australia's long-suffering fans are bracing for another World Cup anti-climax Tuesday when the Socceroos face a Peru side desperate for a victory that may send their opponents home. Pipped 2-1 in the final minutes by France and left agonising over their failure to win a thrilling 1-1 draw against Denmark, Australia face the South Americans for the first time knowing even a win could see their hopes of remaining in Russia ended. 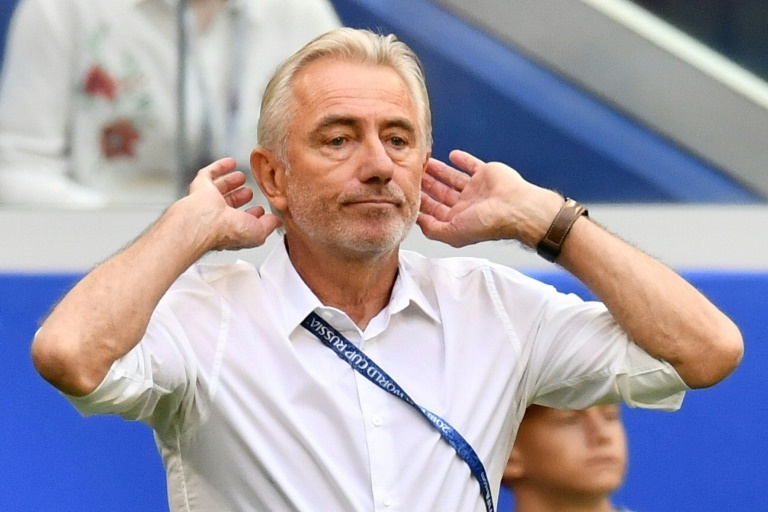 Coach Bert van Marwijk led his native Netherlands to the 2010 final, where the Dutch were undone by Andres Iniesta's extra-time winner for Spain. So far in Russia, the 65-year-old has been both encouraged and frustrated by a side showing marked improvements defensively but little progress in the creative play that leads to goals. "Scoring," said Van Marwijk when asked prior to their crunch Group C match against Denmark what Australia lacked most. "We have to play and create more chances." Failure to beat the Danes in a match that did have bright spots such as exciting teenage striker Daniel Arzani coming off the bench and forcing a great stop from Denmark 'keeper Kasper Schmeichel sorely dented their hopes of reaching the last 16 for the first time since 2006. In a country where football is vying for support against traditional heavyweights like Australian rules, rugby league and cricket, the knives are already out for the Socceroos. Online haters have abused midfielder Robbie Kruse and members of his family on social media. 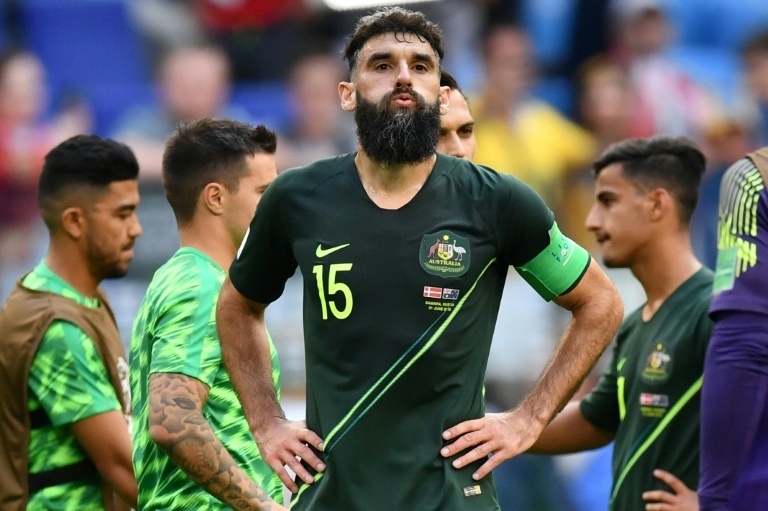 Captain Mile Jedinak, who has scored both of Australia's goals in Russia from the penalty spot, insists their campaign is not over. "The belief is still there. And we will keep holding on to that until it's taken away from us," said Jedinak, the heavily bearded defender who plays for Aston Villa in the English Championship. But sitting third in Group C with one point from two games, Australia need to score goals, beat Peru and hope already-qualified France's decision to rest key players does not hamper hopes of a French win over Denmark that would potentially give Australia a lifeline. "It's a must-win game for us," said Josh Risdon, the Western Sydney Wanderers defender who is one of several players tipped to quit the struggling A-League for Europe. "We know Peru are a good side but we'll make sure we're ready come game day," said defender Aziz Behich, who quit Melbourne Heart in 2013 for Bursaspor in Turkey. "We still have to do our job... I've got a lot of belief that France will do the job against Denmark." 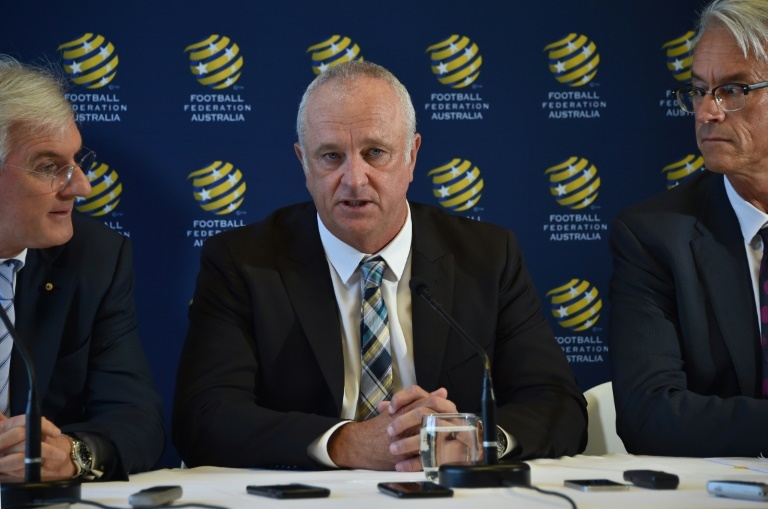 Van Marwijk, who led minnows Saudi Arabia to qualification for the World Cup in Russia before being released and taking up the reins in Australia, will leave the Australian setup after this campaign and be replaced by Graham Arnold. Arnold, an Australian who has been successful with club side Sydney FC, has signed a four-year deal to the end of the 2022 World Cup cycle and will be expected to usher in a new era. "I look forward to learning a lot from Bert (van Marwijk) from afar," Arnold said after his appointment in March. Iranian-born Arzani, used as a late substitute against France and, to better effect, against Denmark, is expected to be the lynchpin of a future Australian attacking line that has so far failed to deliver in Russia. Yet ahead of their clash against Peru, there have also been calls for Van Marwijk to give Tim Cahill what would be his last World Cup appearance. The 38-year-old former Everton striker, who helped steer the Socceroos into the last 16 in 2006 and has scored in Australia's last three editions, has been an unused substitute so far.